T.J. Miller and Thomas Middleditch do drugs and dodge gunfire in this SEARCH PARTY trailer! SILICON VALLEY's T.J. Miller and Thomas Middleditch do drugs, crash cars, and dodge gunfire in this SEARCH PARTY trailer! Set for a September release before it was unceremoniously delayed 'till next year, SEARCH PARTY, the directorial debut of longtime Todd Phillips co-writer Scot Armstrong (ROAD TRIP, OLD SCHOOL), has finally unveiled its first trailer, and it…has French subtitles. But seriously, this international trailer rushes to sets up the plot before laying on the hijinks that T.J. Miller, Thomas Middleditch, and Adam Pally's characters endure as things get increasingly crazy. For those who can't quite grasp Middleditch's frenzied rambling, the SILICON VALLEY star plays a guy who (as you see) has his wedding ruined by the other SILICON VALLEY star, Miller, and treks down to Mexico to make amends at the honeymoon resort they had already lined up. As it's the Mexico of American studio comedies, it's filled to the brim with organ thieves (Jason Mantzoukas, Krysten Ritter), cocaine smugglers (J.B. Smoove), and rampant gunfire, and Miller and third-banana Pally have to go down there and save his poor, pathetic hiney. Considering it's an international trailer that doesn't abide by the green-band rules of the MPAA, I'm surprised at how tame the stuff we see here actually is. You could show this trailer in American theaters with very little editing (I'm not sure if it's okay to show a character snorting cocaine only because he's COMPLETELY COVERED IN IT). You get a brief flash of a bunch of the supporting cast (including Alison Brie), but not a ton of the main three guys. It's actually Miller and Pally who are the stars here, and the latter has maybe one or two lines in the whole trailer. Plus, I hear the film contains a hearty dallop of Middleditch's dangling unmentionables, which seem to have been digitally covered up in some of these shots. 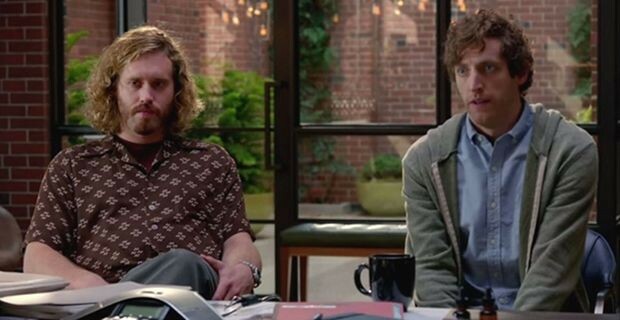 For SILICON VALLEY fans, the thought of getting a whole film with Richard and Erlich should sound like a blast and a half, even if the plot contrives to keep them apart for most of the film. I'm hoping this capitalizes on their respective comedic energies, and has at least some of the bro-y spark that made Armstrong's collabs with Todd Phillips (save for HANGOVER: PART II) fun and memorable. I still bet this gets a theatrical release, maybe timed to coincide with the second season premiere of SILICON VALLEY sometime in mid-2015. Would you bother to see this in theaters? SEARCH PARTY will convene sometime in 2015.